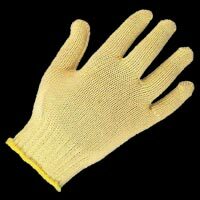 We present the finest quality Knitted Hand Gloves which are manufactured from unmatched quality fabrics and wools. 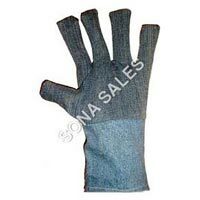 We are well reckoned as one of the distinguished hand gloves manufacturers as well as exporters in India. We assure the customers of our globesâ�� durability and reliability. 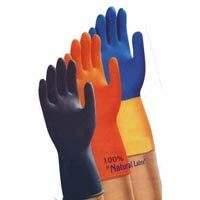 These hand gloves are available in different types such as Cotton Knitted Dotted Hand Gloves, Cotton Knitted Seamless Gloves, Nitrile Gloves, Surgical Gloves, and Jeans Hand Gloves. 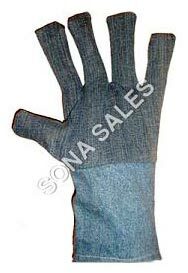 These gloves are utilized in various industries such as rolling mills, engineering units, automobiles etc. These cotton knitted hand gloves are available in different quantities and sizes in accordance to the specifications of honored customers. 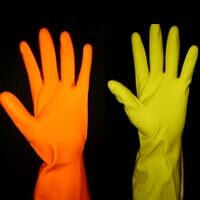 We provide our quality gloves at the most reasonable prices and that too within the specified time frame. 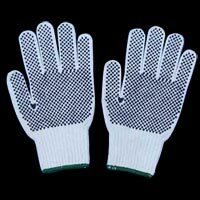 We offer premium range of Cotton Knitted Dotted Hand Gloves with PVC Dots on both sides. Our Gloves provide protection against abrasion and friction, supporting the back of the palm.